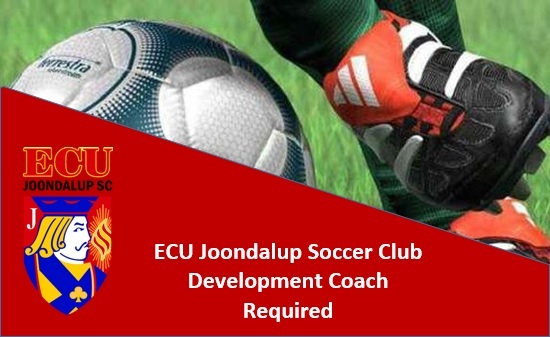 ECU Joondalup Soccer Club have a position available for a Development Coach for the upcoming PS4 NPLWA season. The applicant will join the clubs senior coaching roster in charge of football development, and be the clubs under 18’s coach and will also be involved with the clubs player pathway, and will help coach and develop players in our successful NPL program. All applicants must have a minimum C license and be working towards gaining their B License.